There are two types of anime in this world, at least in the context in which I’m expounding; those anime that get released to a set broadcast schedule, and those which are released when the creators deem them worthy of release. In general, the former applies to broadcast anime, where episodes have to be released once a week, no matter what. Often that means that broadcast episodes fall short in terms of production value. It happened a lot in the days of cel and ink, with little recourse after the fact to fix it. But it happens even now; although with everything digitised and computerised, the expectations are there that the episode will actually be completed for home video. Most recently the penultimate episode of Wizard Barristers was released wholly unfinished, with several scenes presented as voice actor performances against slideshow images. The latter usually applies to OVA series, where broadcast schedules aren’t a concern, and fans have had the experience of waiting endlessly for subsequent episodes of Bubblegum Crisis, and more recently Hellsing Ultimate. But once in a while, a creator decides to hold onto his integrity despite the vagaries of late night broadcasting and a television series will go on hiatus while the animators get it just right. 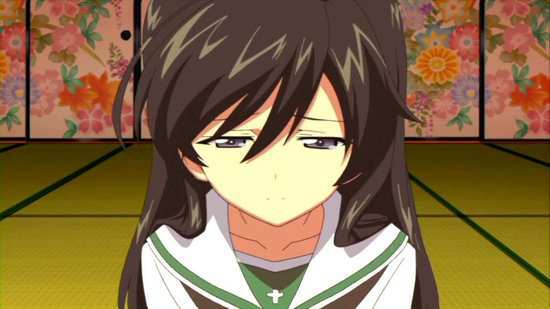 Girls und Panzer was one such series a couple of years ago where Crunchyroll streamed the first few episodes and then had to wait a period of months for the next batch of episodes to be completed. One episode a week is bad enough on a broadcast schedule, having to wait months is unbearable. I never got around to starting Girls und Panzer, although I have to admit that its premise of cute girls in tanks didn’t appeal to me all that much, hot on the heels of cute girls as WWII fighter planes in Strike Witches, or cute girls as guns in Upotte! What did I know! It turns out that there’s more than one kind of fan service in anime, although it’s more usual usage applies to those ‘candid’ shots of female characters to enhance their sexual appeal, whether it be on the beach in swimsuits, or in a hot springs wearing nothing but a light beam and mist. But fans have wider preferences than teenaged animated females, and you can get fan service for cars, as in Initial D or You’re Under Arrest, fan service for guns in shows like Gunslinger Girl and Black Lagoon, and a combination of the two in a show like Gunsmith Cats. There’s plane fan service in shows like Area 88, and as the title suggests, Girls und Panzer is the dream show for tank fetishists everywhere. If you’re into heavily armoured, treaded vehicles, preferably with turrets, then this is the show for you. 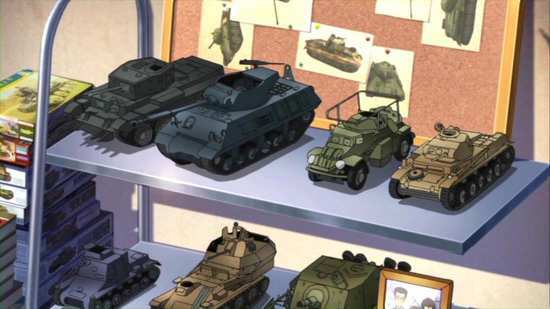 Those hefty hiatuses as they were making this show were to get the animated tanks just right in every detail, every bolt and rivet, every sound, and if we had smell-o-vision, no doubt the smell of the diesel as well. To be an elegant, well refined, and educated young girl takes education, deportment, etiquette, a knowledge of the finer things, and tanks. 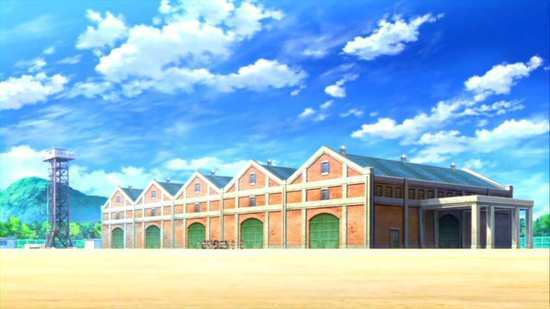 In the world of Girls und Panzer, young girls are expected to learn and participate in the Martial Art of Sensha-do, tankery, in which they compete in regulated tank warfare games, learning to work together as part of tank crews and battalions, in a world where girls’ schools are set aboard gargantuan aircraft carriers turned into small cities in their own right. But for Miho Nishizumi, Sensha-do is the last thing that she wants in her life. 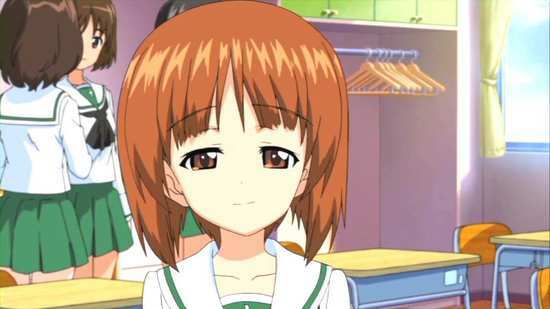 She may come from a long line of Sensha-do practitioners, living in the shadow of her mother and older sister, and the illustrious Nishizumi School, but she’s chosen to leave all that behind, and has selected Ooarai Academy as her high school specifically because it doesn’t have a Sensha-do class. Too bad, because as soon the School Council President learns that they have a Nishizumi coming to their school, she becomes intent on reviving Sensha-do in their school after several years absence from the curriculum, and she’ll even resort to blackmail to recruit Miho to the cause. 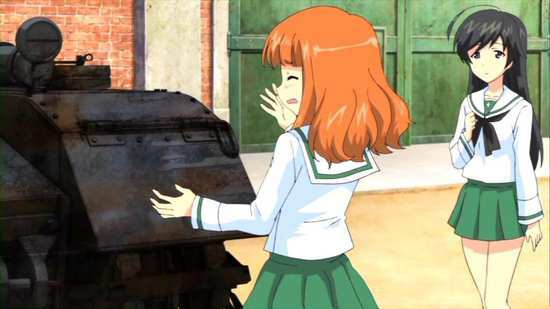 But with the new friends that Miho makes at Ooarai Academy, she might just find that cute girls taking part in tank combat is a whole lot of fun! 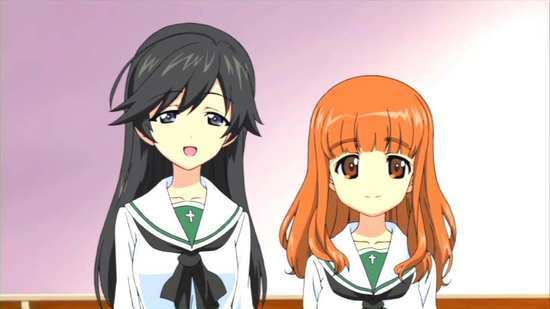 12 episodes of Girls und Panzer are presented across two discs from MVM. 1. Tankery, Here it Comes! 2. Tanks, We Ride Them! 3. We’re Having a Match! 4. Captain Does Her Best! 5. Veterans of Their Trade: Sherman Corps! 6. Our First Battle Comes to a Climax! 7. Up Next is Anzio! 11. The Battle Gets Fierce! 12. The Battle We Can’t Back Down From! 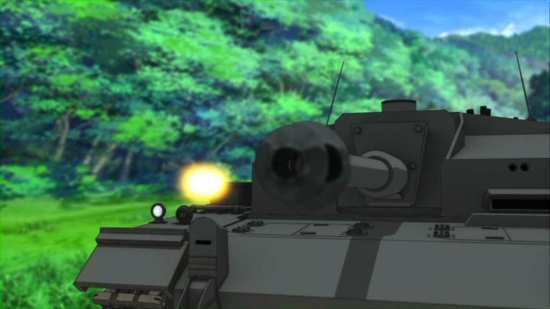 Girls und Panzer gets a 1.78:1 anamorphic transfer on these discs. It’s a nice, clean and colourful native PAL image, which brings out the exceptional animation to excellent effect. While you have the usual cute girl designs, the characters are animated well, and you get to see their different personalities. 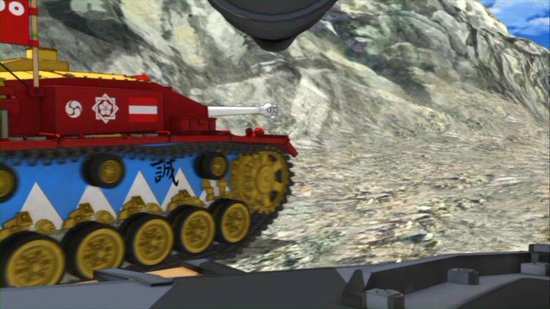 The budget goes to the tank designs, which manage to inject an air of authenticity even in this cutesy, primary colour world, and which through the use of deft CGI blended into the 2D animation really comes across well. You get all of the edge of the seat action and tank strategies brought to life in this anime, and you can see the benefit of the delayed release schedule. The image up-scales pretty well, although you do begin to see some mosquito noise around fast motion. 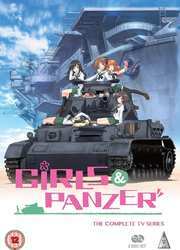 Fortunately for anime fans with HD screens, MVM are bringing Girls und Panzer out on Blu-ray as well. You have the choice between DD 2.0 English and Japanese, with optional subtitles and a signs only track. The Japanese audio is definitely the way to go here, with bright and lively characterisations, with excellent voice actor performances. 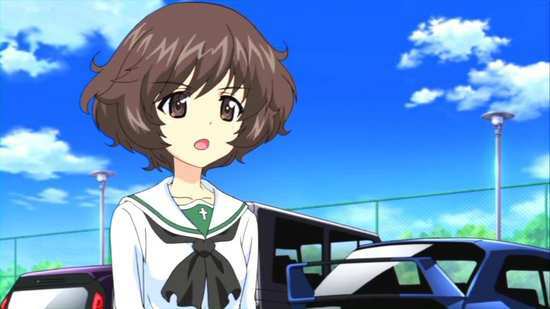 The music of Girls und Panzer is a key selling point, not only two very lively theme songs, but also the incidental music, which with one exception offers some classic military themes, as well as original compositions in that vein, with the music in the opening episode offering melodic references to films like The Great Escape. The action comes across astoundingly effectively, and tanks are loud! Their engines are loud, and their cannons will have you rapidly dousing the volume on your TV, hoping that the neighbours won’t sue. But there is that exception. I often borrow manga from my local library, and once in a while I come across some gross violation of the borrower ethic. A child will have gotten hold of a volume, usually of Naruto for some daft reason, and will have decided to colour the pictures in. In episode 8 of Girls und Panzer there’s a scene where the Pravda school set off to ‘war’, and they should do so with a rousing rendition of a classic Russian folk song. They certainly did in the original Japanese broadcast. But the rights could not be obtained outside of Japan. Crunchyroll had to censor it, but Sentai did what they normally do in these situations, they replaced the song. Only they replaced it with the theme from Tetris! There are no lyrics to that theme, so they also altered the animation, removing the lip flaps. So now we have a scene of stone faced girls, trundling off to battle in their tanks, to the resounding, MIDI synth quality rendition of Tetris. And the scene goes on way past the point that it ceases being funny. There have been song replacements before, in shows like K-On! and Strike Witches, and they have been seamless. This is as if I’d borrowed a volume of Naruto from my library, and found that every image of Tsunade in the book now had a biro moustache. Vandalism I call it! The discs present their content with static menus with a nice little tank cursor. The audio selection screen is a little counterintuitive, as it’s the highlighted options which are deselected. Each episode is followed by a translated English credits scroll, and with the extensive cast here, it runs to over 2 minutes. The standard for any show that goes on hiatus for a length of time is to offer a recap episode or two to get people caught up. Girls und Panzer does indeed have two recap episodes, one to each disc, presented in Japanese only with subtitles. There are also OVA episodes to Girls und Panzer, but MVM will be releasing them separately in June on a 73 minute disc. The extras on these DVD discs are arranged as follows. This lasts 25 minutes, and offers a nicely put together introduction to the characters in the show, and the tanks that they pilot. 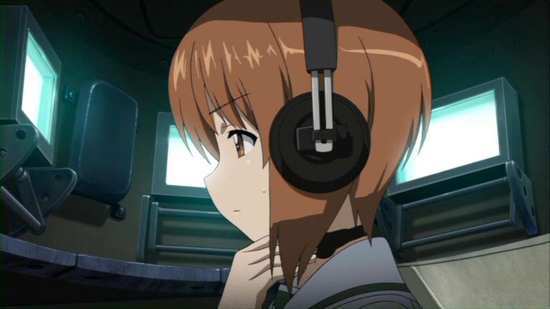 The emphasis is on Miho’s crew of course, as well as the Student Council members, but in the fast paced anime, it’s easy to overlook the other tank crews on the team, and at least after this episode you’ll be able to put names to faces to the volleyball team, the history otaku, and the first years. You also get the textless opening, six textless closings, and 5 minutes worth of Japanese promos for the show. Another 25 minute recap episode, which as well as filling us in on the rules for Sensha-do, also introduced the new tanks and new members of the Ooarai team, as well as some notable characters on the enemy teams. It’s funny the way they brush over the Anzio team. Oddly enough this episode has translated subtitles only. There are a large number of screen captions that don’t get translated, and neither do the theme song lyrics for this episode. You get six more clean closings on this disc, and just under a minute of Japanese TV spots for the show. This disc also has trailers for other Hanabee titles, including Accel World, La storia della Arcana Famiglia, Kokoro Connect, and Little Busters. The first two titles are also licensed for UK release by MVM. “War! Has never been so much fun!” That was the theme song to a computer game I had called Cannon Fodder. It’s just as applicable to Girls und Panzer, if not more so. I haven’t had so much joy just watching an anime series in such a long time. 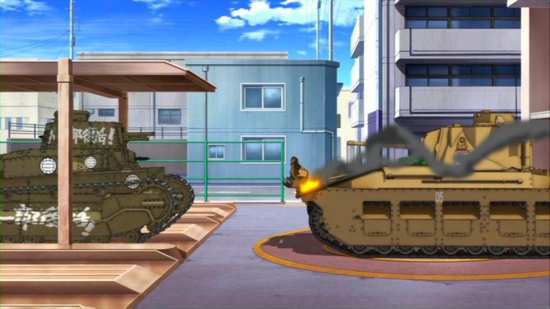 Girls und Panzer is already my candidate for anime of the year. Not because it’s particularly deep, complex, emotionally affecting or possessing a satisfying narrative. It is really just because it is so much fun. It is the kind of show where you watch each episode with a massive grin on your face. It’s my show of the year because with an anime collection that threatens to drown me, it becomes a matter of years before I dust off an old series and give it a re-watch. 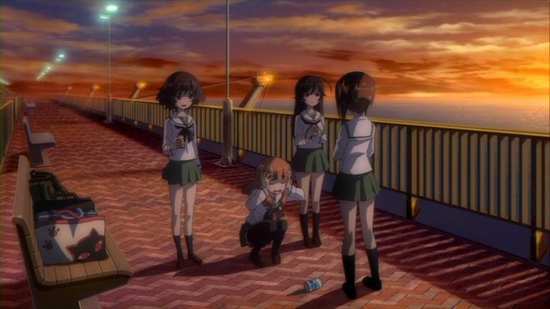 I can see Girls und Panzer jumping to the head of the queue every few months because it is so fun and so rewarding to watch. In fact I am going to watch it again in a few weeks. I stopped watching the DVDs after a couple of episodes to go and get my Blu-ray pre-order in before resuming the review, and you can bet that those Blu-rays will be at the top of the pile the next time I need a little happy boost. It’s such a simple show to appreciate, with the visual dichotomy of cute girls in tanks trying to blow each other up offering much appeal. It has to be a bizarre world where this takes place, a world where it’s considered the finer point of etiquette and upbringing for a young girl to have experience in tank combat, where such combat is safely performed in regulated and refereed war-games, and where high schools take part in contests. You have the cuteness of the characters, which are as warm and as likeable as any of the K-On! cast, only there’s a whole lot more of them. You have the painstaking detail that goes into recreating various historical tanks, and animating them with style, energy and realism. You also have some really inventive strategy and tactics in each episode to hold the attention and at just 12 episodes in length, the action remains intense and spell-binding, with never a moment wasted. On top of that you have a great soundtrack, martial tunes that hark back to history and drive the action, and a couple of great theme tunes that ensure that you never press the skip button until the silent translated scroll comes on. It’s astounding that with such a short run, the characters establish themselves to the degree that they do, but even the minor tank crews that only hold a fraction of the screen time still do enough to bring their personalities across, and will have the viewer picking favourites. 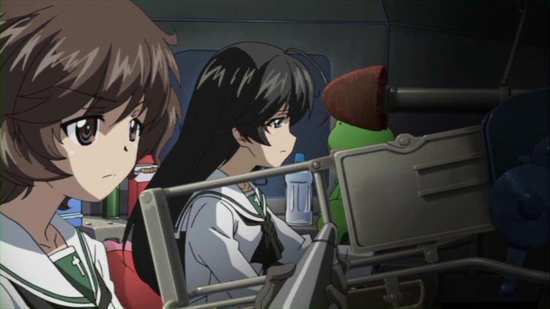 There’s also a fair bit of character drama to appreciate, as everyone does have something going on outside their tank hobbies, whether it’s Hana’s conflict with her mother, Mako’s concerns about her grandmother, and Saori’s search for true love. Of course the show wouldn’t be quite as entertaining without some peril, and it pretty soon becomes clear that the school isn’t in the championship for just pride, as there’s something a lot more important at stake. It’s Miho’s storyline that had me scratching my head for a minute. At the start of the series, she wants nothing to do with Sensha-do, and specifically chose a school without tanks in the curriculum. It turns out that she has talent in the sport, but has chosen to shun it for family reasons, most notably because of her older sister. Quite naturally the two wind up facing off in the finale. I’ve seen this story before... in Saki. Okay, it’s not tanks, it’s Mahjong, but the set up is still the same. I like Saki, it’s a fun show where the mundanity of moving tiles around a board becomes utterly melodramatic with some over the top animation, and even some implied super powers. I can happily watch an episode of Saki, even though I don’t know the first thing about Mahjong or its rules. It’s pretty easy to pick up Sensha-do. The rules of tanks shooting at each other are straightforward. 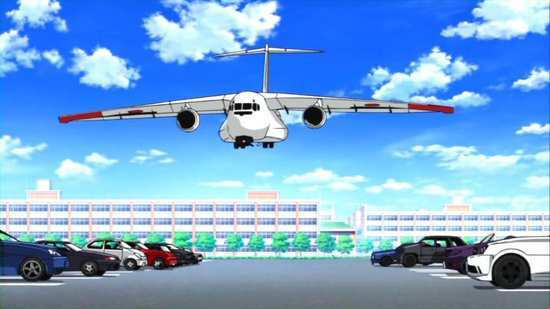 Can you imagine how much more fun an episode of Girls und Panzer is when you know the rules? It’s a show that actually makes you want there to be a sport of Tankery for real. If there is a downside to Girls und Panzer, it’s that it is so short. 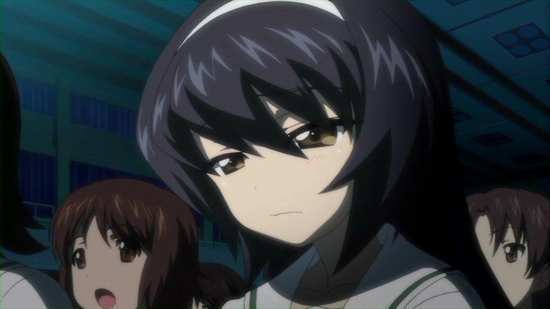 You want there to be more, you want to get to know the characters better, to have the anime spend more time in their world with more cute girls doing cute things in tanks. There is the risk that it would go K-On!! Season 2 as a result, diluting all the fun stuff, but spacing out the tank battles with more of the characters wouldn’t hurt it too much. 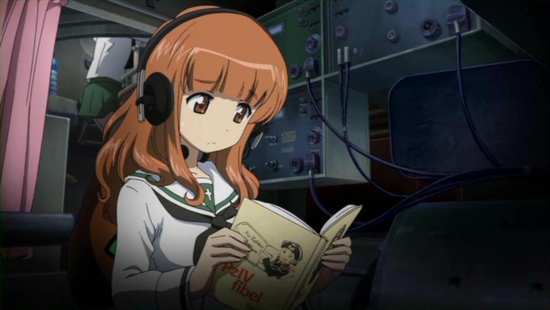 But if you want more Girls und Panzer, MVM are releasing the OVA episodes on Blu-ray and DVD, that’s some 73 minutes more fun in this world, most of it standalone but some of it adding to the story here. Of course the Japanese OVA release also included the Yukari Tank Corner Specials and audio dramas, but we get the six animated episodes. If you notice the short shrift that the Anzio battle gets in the series compared to the manga, that’s because there’s another OVA episode due for release in Japan this summer that actually shows that match in detail. 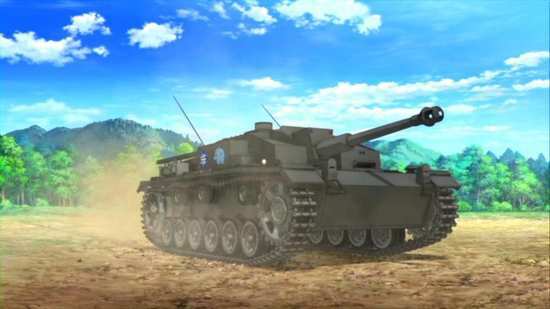 And there’s a Girls und Panzer feature film due!